Take your training to the next level with CLUB Motiv8! Our unique approach provides practical and actionable training tips, articles, and resources, offering an unparalleled way to improve and enjoy your training and racing, while staying healthy and injury free. 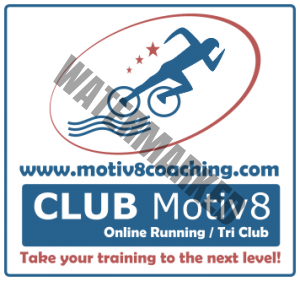 CLUB Motiv8 is an online running and triathlon club for athletes of all abilities and experience. It gives you access to invaluable resources, curated content, and practical guidance from experts to elevate your training. Its like having a coach and your own social community of like-minded athletes, and all the benefits and advantages that comes with being part of such a group. Videos on Strength Training, Stretching, Foam Rolling, training/racing tips and strategies. New videos added constantly! Resources, articles and curated content on a wide variety of topics including training, diet, nutrition, rest, recovery, mental toughness, motivation, and more. New resources added constantly! Online webinars from time to time. Weekly QnA with coach Atul Godbole and our other coaches. Useful and practical calculators, pacing plans and other tools to help you train and race your best! Practical and useful resources and guidance on strength training, stretching and warmup via videos, resources and more, to help you stay injury free. Weekly training tips and tricks, and some motivation to keep you on track with your training. Weekly dieting and nutrition tips to help you stay on top of your weight. Membership is just Rs. 7999 Rs 3999 per year. That’s right! As an introductory offer, we are offering 50% off our annual membership. About the same as the cost of 2-3 local race entries! Introductory pricing of just Rs. 3999 per year! Whether you are a beginner athlete just starting out, or an experienced one with years of racing experience, CLUB Motiv8 will take your training to the next level by helping you stay focused and giving you access to the best tools, knowledge, tips, resources and guidance. Q. What is the difference between personal coaching offered by Motiv8 Coaching and CLUB Motiv8? A. Its simple, CLUB Motiv8 does not include any personal coaching. Its for those athletes who can’t or won’t work with a coach, but would still like to be part of a close-knit group, and have access to our extensive resources, videos, tools and other content. CLUB Motiv8 also gives you access to coach Atul Godbole for any training related queries you may have. Q. Who is CLUB Motiv8 suitable for? Its suitable for any runner or athlete who wants to improve their performance while enjoying their training and staying motivated and injury free. Whether you are a beginner or experienced, part of an existing club.group or not, have an existing coach or not, male or female, fast or slow, you will find that CLUB Motiv8 is an invaluable resource at your disposal. Q. I already have a coach, can I join CLUB Motiv8? Yes, certainly, why not? The online nature of CLUB Motiv8 will complement your coaching nicely. Q. I am a part of a group and club, can I join CLUB Motiv8? Certainly! CLUB Motiv8 is an online club and will nicely complement your existing physical group/club.